Home » funny » Hello World! By Mike Reynolds in funny, Hello, silly, test post on 09/01/2012 . I’m sure this will be a fantastic blog! 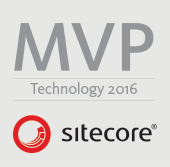 Mike’s one of the foremost experts on Sitecore so his insight will really benefit the sitecore community. I hope the blog takes off and becomes a great success! Thanks for the warm welcome and kind words, albeit I do not consider myself a Sitecore expert. I’m just a Sitecore developer who has seen a few things, done a few things — mind you, not all good things, although you do learn from your mistakes — and learned a bunch of stuff over the past five years working with this CMS — most of which was bestowed upon me from members within the Sitecore community. That said, I would like give back whatever I can to the Sitecore community, and learn a few things in the process. I am happy that it works.